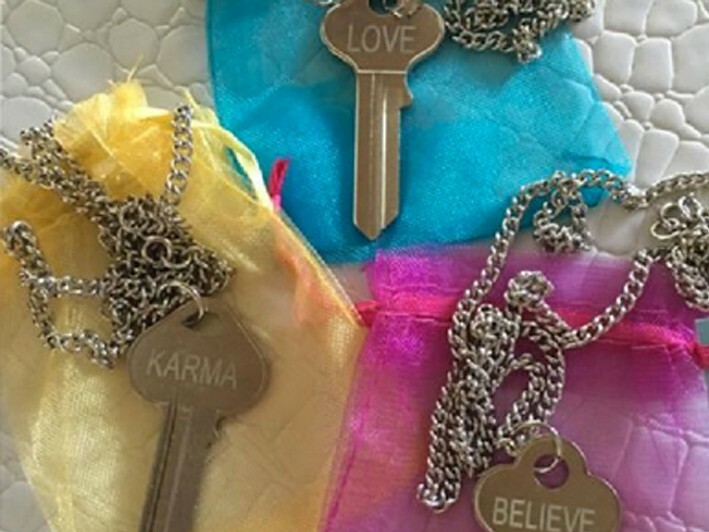 Karma Key necklaces were created by 3 best friends to spread positive vibes and messages in the trendiest way possible. Our motto is "send out goodness and goodness will come back to you." 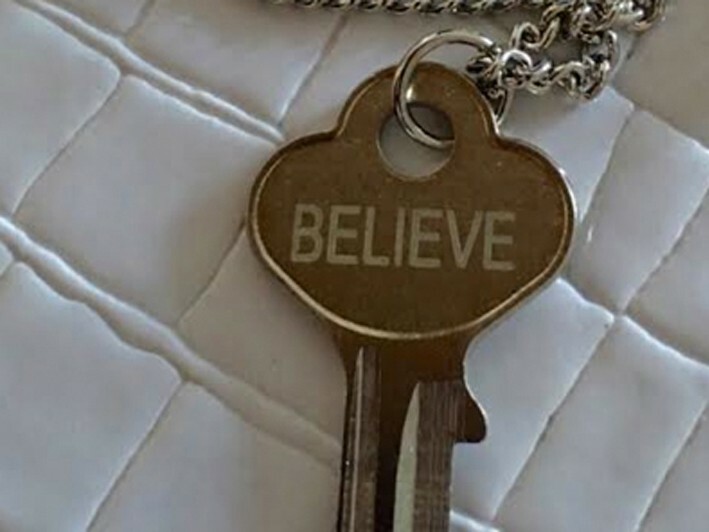 Wear these engraved key necklaces to open your heart...or gift them to a friend or relative to send good vibes their way. Featured today are 3 of our most popular sayings. 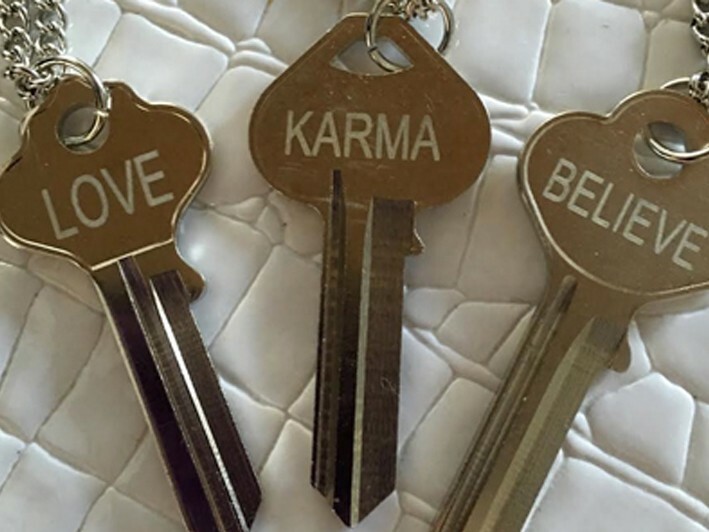 LOVE - "To love others you must first love yourself"
KARMA - "How people treat you is their karma, how you react is yours"
BELIEVE - "In order to succeed, we must first believe that we can"
Keys measure 1 inch by 2.2 inches and come on a 24 inch silver metal chain. All necklaces are delivered in an organza gift bag. 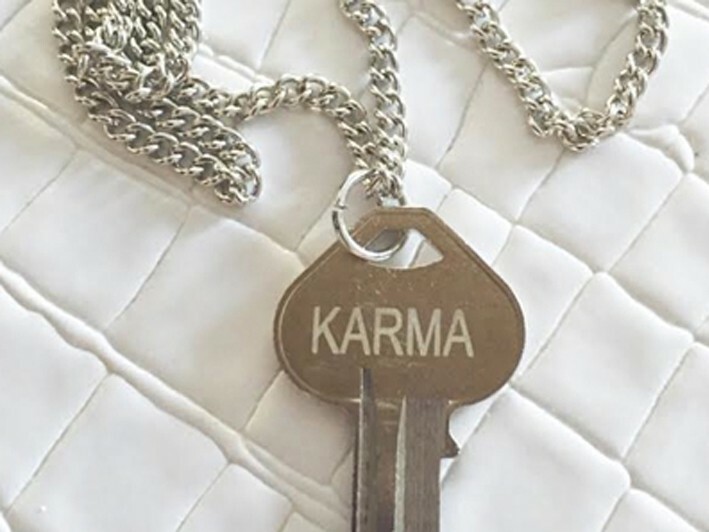 Please enjoy this Living Huntington offer for one Karma Key necklace valued at $30 for just $16. 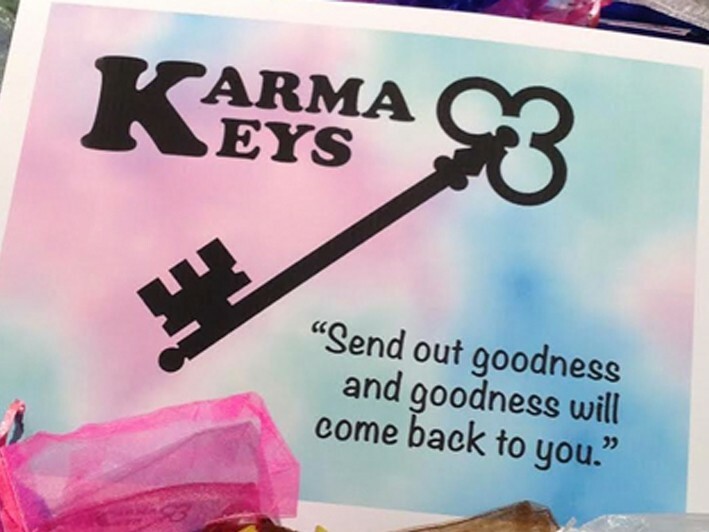 You may also check out our facebook page, instagram and website to learn more about Karma Keys. • All products made in the U.S.
• Shipping cost of $3.95 is included within the Continental U.S.